Distinctive Ornament Inside and Out. The use of iron for both exterior and interior applications has greatly increased in popularity over the years and we have had to travel to faraway places like France and Egypt to acquire our inventory. 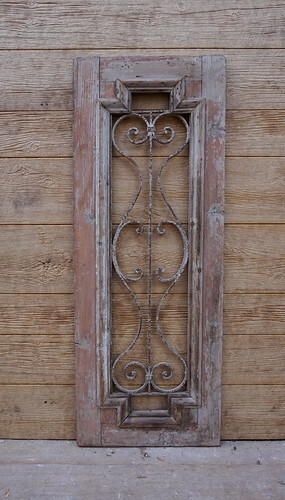 We keep hundreds of pieces in stock, from large quantities of fencing to small beautifully hand-forged pieces. Our specialty in-house welding shop can build out or adjust pieces to suit your needs. Depending on their final usage, these pieces are either left as-is in the patina of many decades, or else totally restored by first sandblasting and then repairing and powder coating. Far from their original home in the streets of Paris and Cairo, our antique iron pieces have become a fixture on the streets of Toronto, and our work can be found in almost every neighbourhood in the city – both commercial and residential – in the form of railings, door grills, and Juliet balconies. 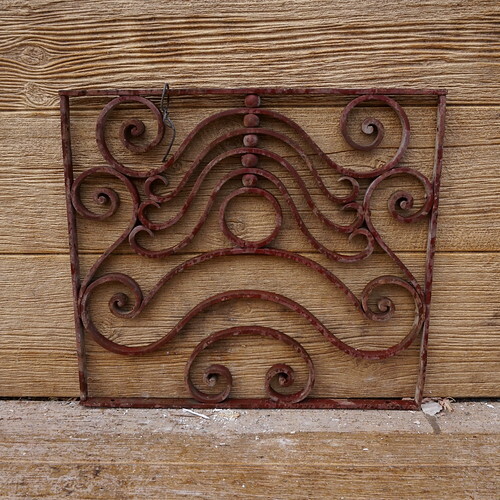 For years we have been converting these intricately wrought and cast panels to our client’s specifications to produce everything from headboards, coffee tables and fire screens to garden trellises and poolside cabanas. 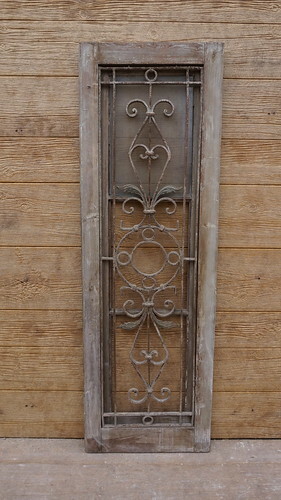 We started making door panels out of antique iron pieces over twenty years ago. Over the years we picked out some of our favourites and had a local foundry reproduce them for us in cast aluminum, which is much lighter than cast iron and also much stronger. The result is a beautiful door panel that can add both character and security either to an existing door or to a custom made one. Many years ago we purchased a quantity of wrought iron awnings from a small workshop on the outskirts of Paris that was closing down. They were so popular that we’ve had them copied and offer a couple of models with custom sizes available. On a more recent trip to a Parisian flea market we were lucky to find an incredible laurel swag railing that comes in a series of modular sections that can be recast to fit any sized project. Some finds are just too good to be one-offs! Console tables are a great way to bring a piece of history into your home. 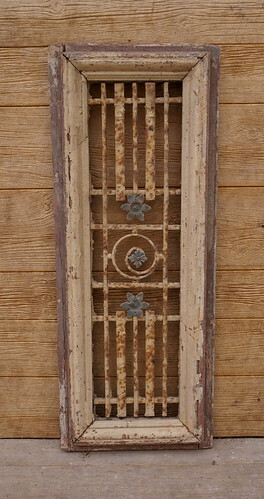 Antique iron panels – either powder-coated or kept in their original finish – are custom-framed into tall narrow tables that look fantastic as a statement piece in a foyer or hallway, behind a couch or as a dining room sideboard. When shopping for our antique iron bring your approximate measurements, and know that the sizes of our pieces are not set in stone. In most cases we are able to adjust the pieces you love to suit your needs. 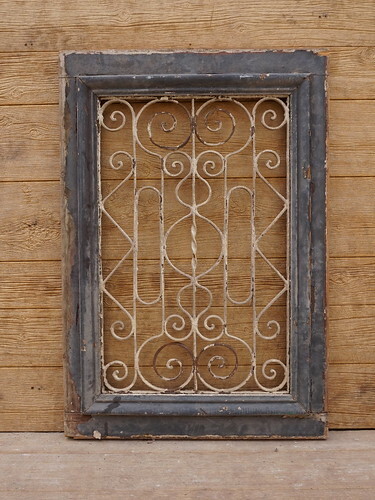 This could mean adding a wrought iron border to build out a door panel, splicing two pieces together to make a coffee table, adding some filler sections to a railing, and so on. Many clients also find it handy to bring a photo of their house or front door to help picture what our railings, window panels and door grilles will look like in place.